The sentence is the basis of your art. Think, make sentences, and revise. Rhythm is everything, first and last. Talking is natural, writing is not. It takes years of work. “Chronology is a trap.” Nice reminder. Thanks. 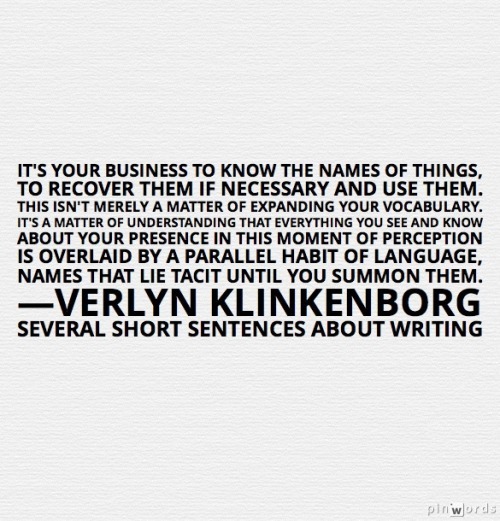 I’m not a fan of Klinkenborg’s, though I agree with the notion about the sentence as the basis of this particular art. Maybe I will change my mind about this author. What are you finding in the writing that you like? I will tell you what I think, if I have learned something, if I liked what I learned … etc., when I have studied his text in some detail. What is it that you don’t like? I read his columns in the New York Times. He lives in a rural area and often writes lovingly–almost too lovingly, almost…stereotypically, perhaps–about rural life. But I find myself not entirely believing him. It may be just the brevity of the column, and the audience he’s writing for, which is mostly urban I imagine; maybe they want more of the light touch or romanticized country life in prose. I haven’t read his longer essays (collected into books such as “Making Hay”) or this recent book. Perhaps doing so will change my opinion of his work. I will keep an open mind! I noticed there were negative opinions also from his urban readers.